In which workshop did you take part? 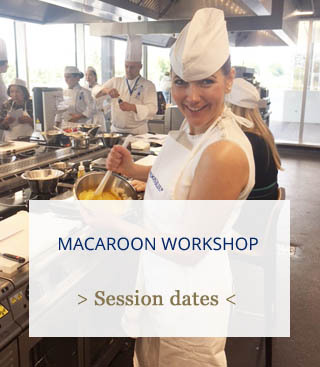 I took part in the Macaroons workshop at the new Le Cordon Bleu Paris campus. I received a very warm welcome and had the opportunity to chat with the other workshop participants, we all couldn’t wait to learn how to make amazing macaroons. What are your memories of the workshop? It was an extraordinary experience, so much better than I ever expected! I work in the luxury industry and, as such, have developed a passion for the art of fine dining and this led me to discover Le Cordon Bleu and its new campus in Paris. This inspired me to register for a workshop as a birthday treat. 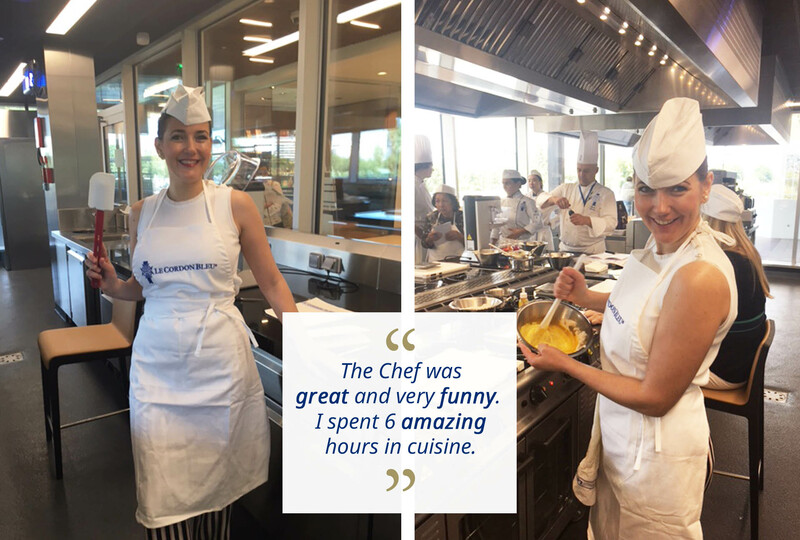 What did you think of Le Cordon Bleu Paris campus? And of the room in which your lesson took place? Our lesson took place in an extremely spacious kitchen with perfectly prepared work stations and a detailed programme outlining how the 6 hours workshop would unwind. Did the participants help one another? What was the atmosphere like? We were 12 participants, all with very different backgrounds: Brazilian, Australian, Lithuanian… and a wide age range: proof that it is never too late to learn! What culinary secret(s) did the Chef Instructor share with you? The Chef was great and very funny; he explained every step of the recipe very clearly via a translator. He took the time to show every participant the correct techniques. Pastry is an art and, achieving perfect results, takes time and practice. What did you like best about the experience? I spent 6 amazing hours immersed in the world of cuisine. We took our creations, apron and even our small cap away with us at the end of the lesson. The whole experience was very inspiring and there is no doubt in my mind that I will come back again. Have you had time yet to practise what you learnt in the workshop? All my friends who tasted my creations said they were perfect. I will try making them again to share everything I learnt. If you could choose another workshop, what would it be? Next time I would like to take part in the Chocolate Workshop.